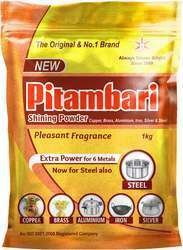 Pitambari has created a milestone by launching its first successful flagship brand Pitambari Shining Powder. “ Pitambari Shining Powder. 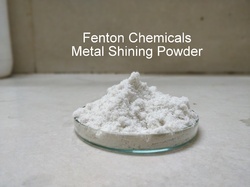 It is copper and brass cleaning powder, these metals are atmosphere sensitive metals. Oxygen in the atmosphere get react with surface area of these metal and form blackish oxide layer on surface making metal surface tarnished. It is effective on Copper & brass , Aluminium, Iron & Silver articles too. We are enlisted amongst the leading names in the industry offering our clients wide range of Pitambari Powder . From our wide consignment, we are offering to our patrons an optimum class variety of Adbhut Shining Powder.